They found the hoop in the ruins of their obliterated neighborhood. They propped up the backboard with broken wood beams and rusty nails scavenged from vast mounds of storm-blasted homes. A crowd gathered around. 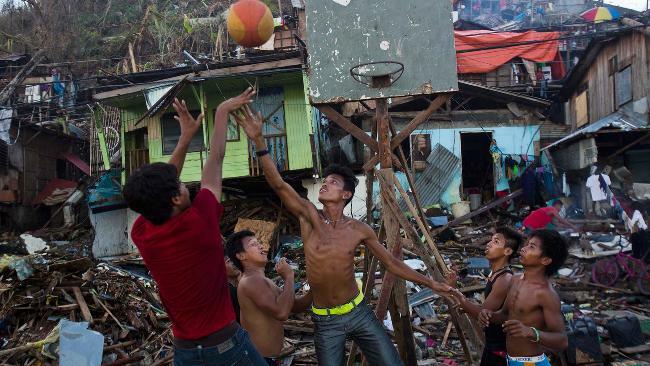 And on one of the few stretches of road here that wasn’t overflowing with debris, they played basketball. The kids, and all who gathered around to watch, were craving even a momentary distraction from their troubles. 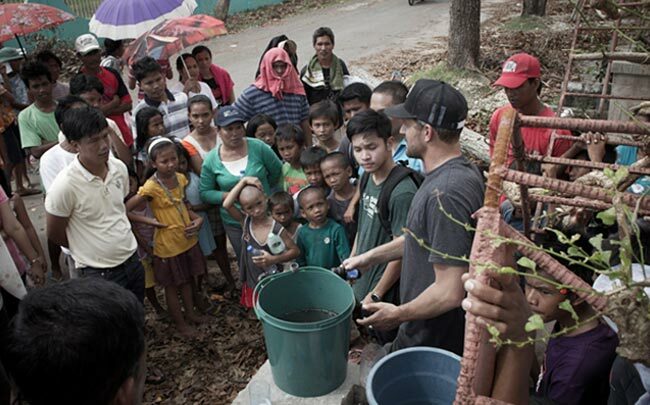 Please help the people of the Philippines by donating to our affiliated water relief organization, Waves For Water, which has been on the ground there since a few days after Haiyan, with filters that are bringing clean water to hundreds of thousands of people who need it now. See the Waves For Water web page, Super Typhoon Haiyan // Disaster Relief, for many more pictures from the center of the disaster area, and help support the great work W4W does there and all over the world, including a lot of Hurricane Sandy relief right here in the United States.